With a black garbage bag in my latex-gloved hand, I joined the ‘front’ street team in the weekly San Pedro Beach cleanup. Although my travels to Ambergris Caye were not motivated by “voluntourism” (a vacation focused on a community outreach project), I have always been active in community service. Feeling settled on the island, I wanted to get involved in the community that has so graciously welcomed me with open arms. With the help of the Internet and after speaking with locals, I discovered there are many ways to become involved in the community, each of varying levels of commitment. The weekly, community-organized Saturday beach cleanup fit my interest: a non-committal outdoor project focused on the environment. Every Saturday morning at 8 o'clock, a group of residents and tourists meet at the beach, split into 3 groups, each focusing on the three main streets in San Pedro, and pick up trash. It is not as if Ambergris Caye is overrun with litter, but like most cities litter is inevitable. Each week a different San Pedro business supplies the garbage bags and gloves for the volunteers, and a restaurant provides water at the end of the first hour. It just so happened that this week a local chocolate company also donated baked goods for everyone! Plus, the local Crossfit gym canceled their one Saturday morning class so everyone could attend the clean up! For those interested in more of a commitment-based community involvement, San Pedro has its very own Lion's club, referred to as the Lion’s Den, and the Green Reef, a reef conservation organization, is currently looking for a volunteer coordinator (http://ambergriscaye.com/greenreef/volunteer.html). 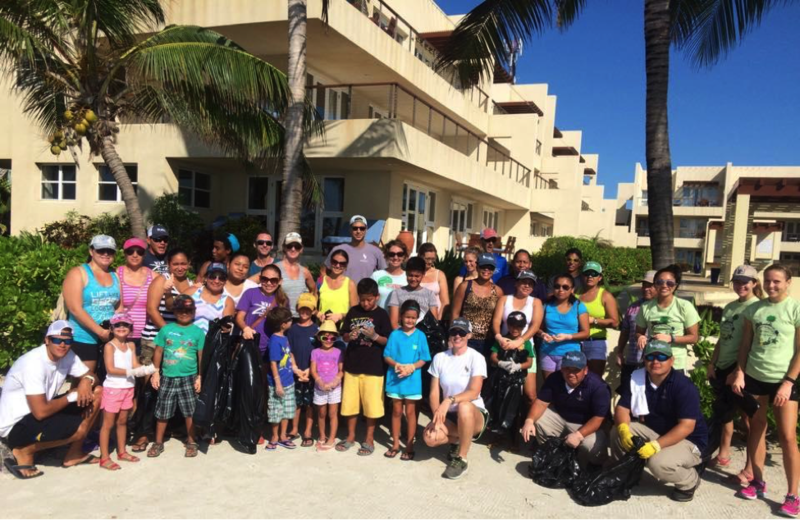 From my experience with the Saturday morning beach clean up group, if there is a community service project you want to kickstart, I am sure the Ambergris Caye community is ready and willing to help!